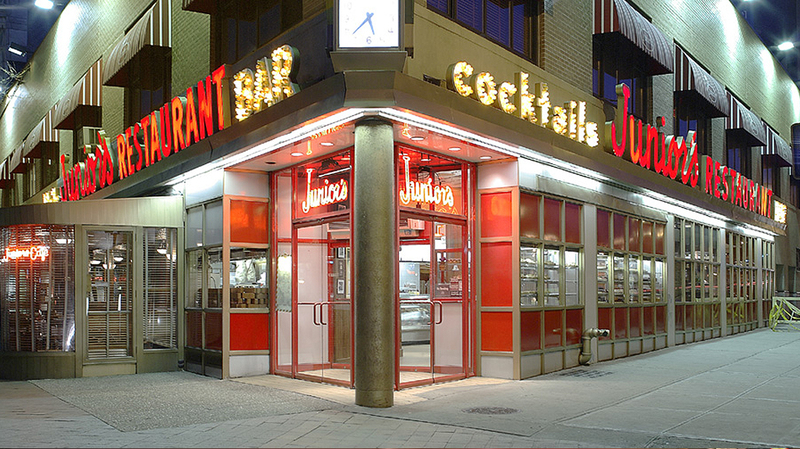 Since the 1950’s, Junior’s has been famous for great food, great fun, great service, and, of course, the best cheesecake. Our original location in Brooklyn on Flatbush Avenue is still thriving. Or you can visit us in some of our more recent additions—two locations in the heart of the theater district on Broadway inTimes Square. 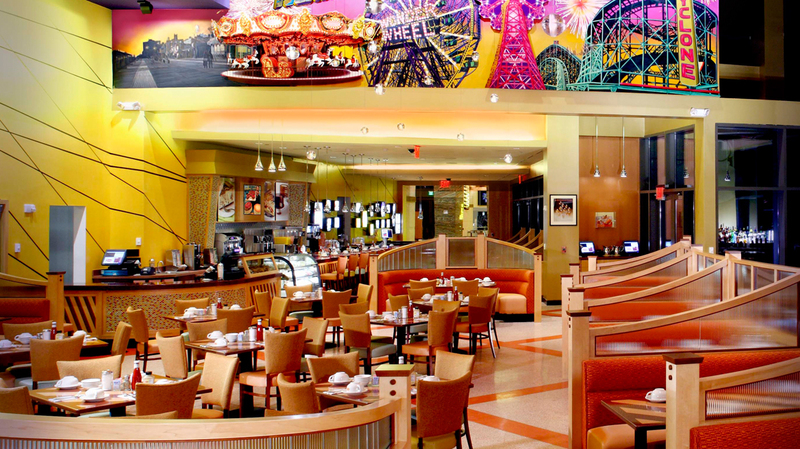 You can even try your luck at our first restaurant outside of New York—at the Fox Tower at Foxwoods Casino in Connecticut. With a full menu ranging from steaks to seafood and sandwiches to salads and cheesecake, we know you’ll have a fabulous dining experience at any of our establishments and, of course, don’t forget to order dessert! Almost any day of the year, there's a family at Junior's celebrating a birthday, an anniversary, graduation, homecoming--you name it. Overstuffed deli sandwiches, famous 10oz. steakburgers, fish, ribs, chicken and, of course, our extensive dessert selection. You'll dine in an atmosphere that's fun and friendly. Beautiful full service bar features Brooklyn memorabilia. Come visit us and have a taste of Brooklyn history. Our newest Restaurant in the heart Manhattan and just steps from Times Square features moving lights and stainless steel reminiscent of our original 1950s location. With a full-menu and all of our famous menu offerings from steakburgers to seafood combos and Romanian tenderloin, to you'll have an unforgettable and fun dining experience. Take-out, counter seating, and full-service bar available. Don't forget to order our World's Most Fabulous Cheesecake for dessert! Whether you are seeing a Broadway show, touring the sights or just in need of a great stop in the heart of the city, Junior's on Broadway is the ideal location. Opened in 2006, this spectacular restaurant features outdoor dining on our patio during the summer, a full service bar, and beautiful new dining room. 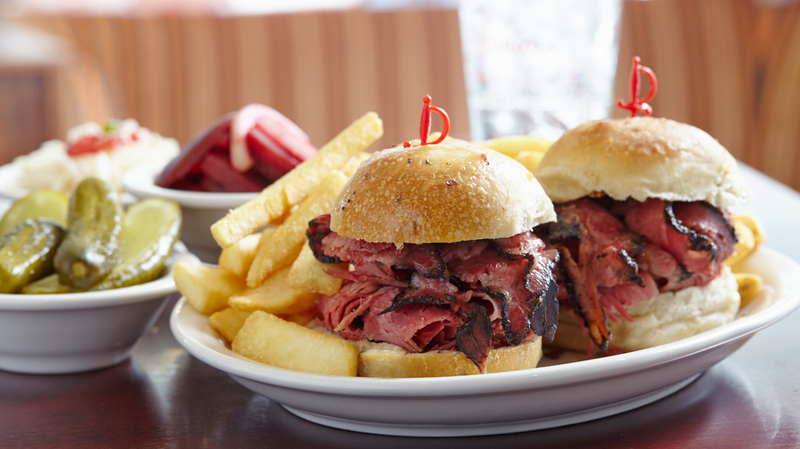 We like to call it a taste of Brooklyn in the heart of Manhattan. Our first great adventure outside of New York; Junior’s at the Fox Tower is truly just that. 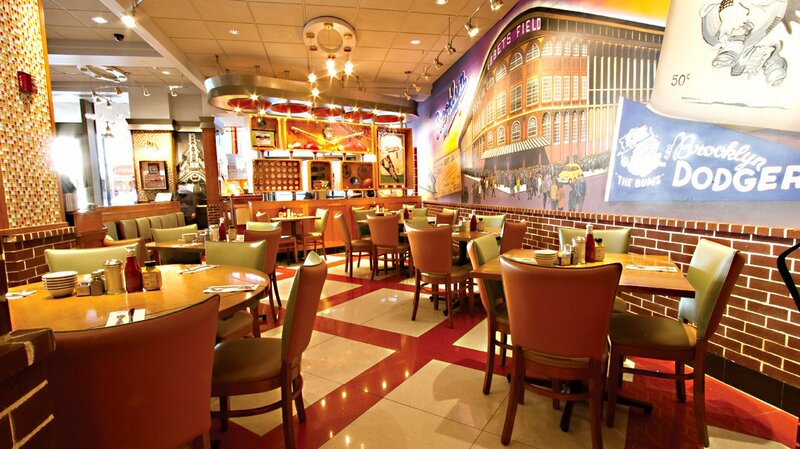 It’s our grandest restaurant yet—with all of the excitement of Foxwoods Casino. We still serve the same great menu including steaks, burgers, seafood, salads, and overstuffed sandwiches all combined with a full service lively bar. We invite you to join us and enter into a world of possibility and adventure—and of course fabulous cheesecake. Just outside New York City is our state of the art bakery in Burlington, NJ. Our location might have moved but the same quality and care remains. We even moved many of the ovens from New York. Our original recipe and methods still haven't changed. All of our products as always are handmade with premium ingredients in our family-owned bakery. Visit our new Bakery Outlet in Burlington for great deals on first run items both perfect and imperfect and always fresh and delicious. Having an affair? 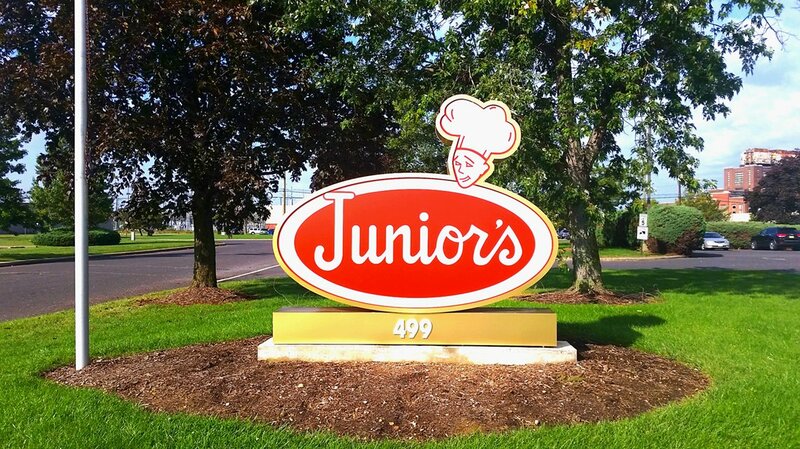 Let Junior's do the work for you. Whether it's an office lunch, a party, or holiday family dinner, we are available every day of the year. Let our staff help you create the perfect menu of offerings for your guests from a full Thanksgiving meal for a crowd to sandwich platters to breakfast for 100 people we've got you covered. © 2015 Junior's Cheesecake. All Rights Reserved.